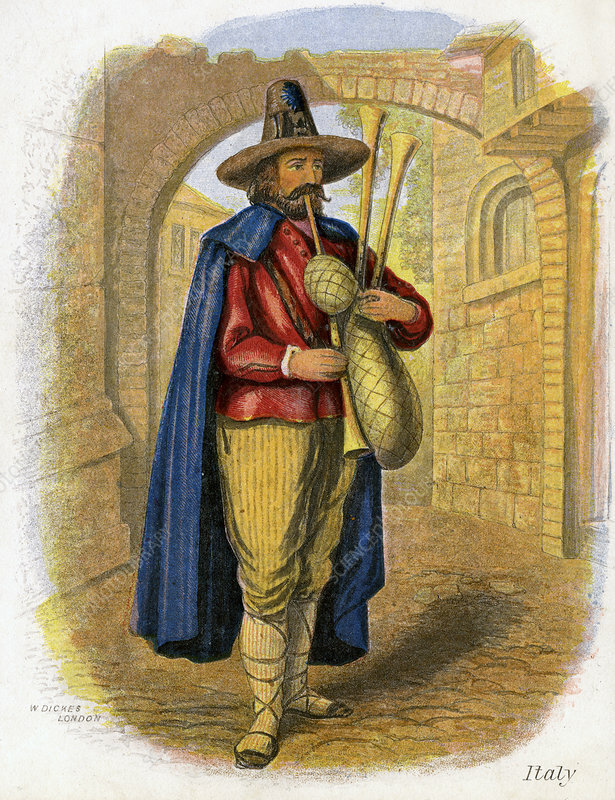 Italian Musician', 1809. The households in Italy are generally large and in the summer evenings after the labour of the day is over they all dance together to the music of the pipe and tambourine. Artist: W Dickes.